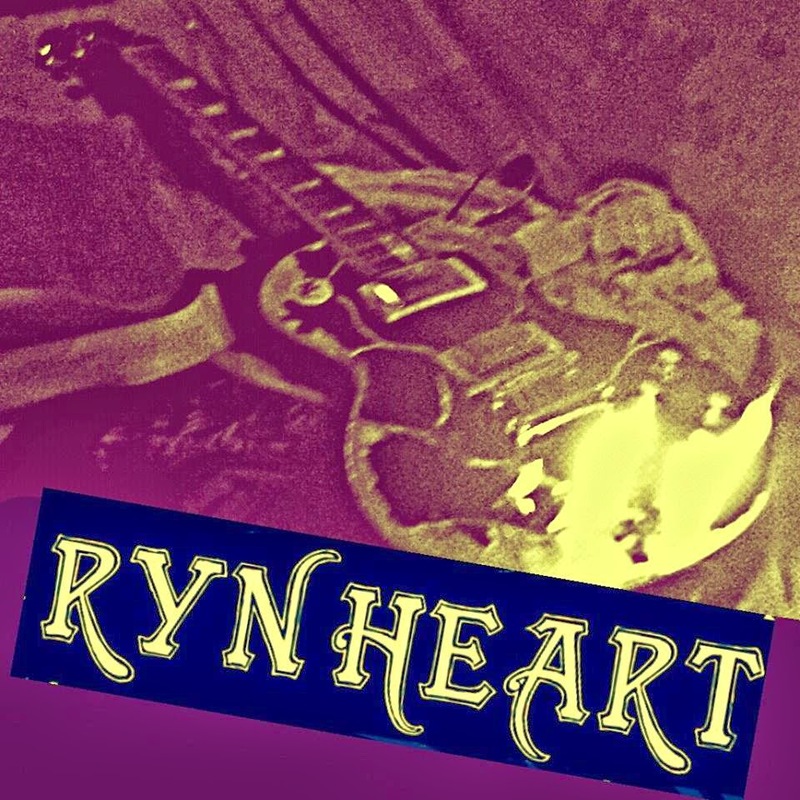 Rock Review Phil: Rynheart "Rynheart"
Toronto hard rock band Rynheart wear their influences on their sleeves, as have a lot of bands I’ve written about. That, of course, is never truly a bad thing. Another of the independent bands who seemed to grow up fans of 80s hard rock, it isn’t hard to hear the balls of Guns N’ Roses infused with the sleaze of Poison on this four track self titled EP that I was given by them. I mean who doesn’t like a good hard rock song that can shake the ground under your feet? The Guns N’ Roses meets Poison shtick isn’t hard to hear; the opening riff to the EPs first song Last Call just screams of Slash influence, but the singing isn’t angry like what Axl Rose would belt out. The singing is loose, perhaps a little too loose, and it isn’t easy to compare with much else in terms of vocals. Seeing as how these are “demos” and not official recordings, many moments on the EP unfortunately are just not well produced. I understand perfectly well that this stuff isn’t cheap to make, not at all. It’s important for listeners to know this about bands. While it is easy to get past the quality for the most part, the track Follow Me is not one of them. The guitar riff isn’t easy to make out and the drums overpower just about everything, but the vocals are affected the most. Ironically, had the production been better, the vocals on this track may have been the most powerful performance of the four songs; more so during the chorus than at any other point. Player and Jumpin’ Bones are just as rocking as the other two tracks on the album. The latter features more obvious and heavy influence from Slash in its opening riff. It is also really the only track that I feel puts its melody above its heaviness; it’s really the only song on the album where the vocals sound like real effort was put in to them. Even the harmonies are pretty good. The main flaws of this Rynheart EP are that it lacks originality, and it really tries to capture its audience on its music rather than the singing. There are hardly any vocal hooks for people to remember to sing along to, but there are plenty of guitar riffs that after a few listens are sure to remain in its listener’s memory. It's more a guitar players EP than anything. “Jumpin’ Bones” –­ either of the last two tracks are good on a music standpoint; the whole band stands out rather than just the drums or the guitar. You can hear how the band plays well enough together, but it’s the previously mentioned concentration on the melodies of the song that makes this the highlight. They could be a little better, but it’s a point in the right direction. I agree with the above comment, altho he was a little harsh lol. I found this thru the bands twitter and I have to say there a breath of fresh air from all the hipster bands that have been coming out lately. Wow,im always disappointed when i finally like something and you get a nerd giving their public opinion..thats all it is..your opinion,if you new anything about the times we are living in you would know that Rock is coming back,and this band is helping to do just that,so maybe be more positive and less negative and stop judging what you clearly can not do..write your own music and play an instrument well, be a part of a great band..etc..dont sit in judgment..its not becoming of you! your obvious lack of experiance shows it!! !